Our team of dedicated individuals are here to offer and provide support of most programs that happen outside of the regular academic day. These programs are incredibly fulfilling and fun for both our students, but also for the teachers and administrators that support them. We hope you will help us reach our goal that all students should be involved in at least one activity per term while balancing the commitment with the academic demands of our school. Participation in extra-curricular programs supplements the development of the whole child and their educational experience. Here are some of the reasons why we value our programs that are scheduled outside of the academic schedule. 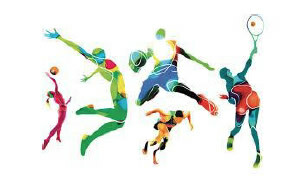 Sports - Competitive, mostly school funded, and seasonal sports teams that compete against other schools and are supported by the APSSO, ISSFHK and HKSSF organisations. We look forward to having your child join one or more, of our scheduled ECA Sports.